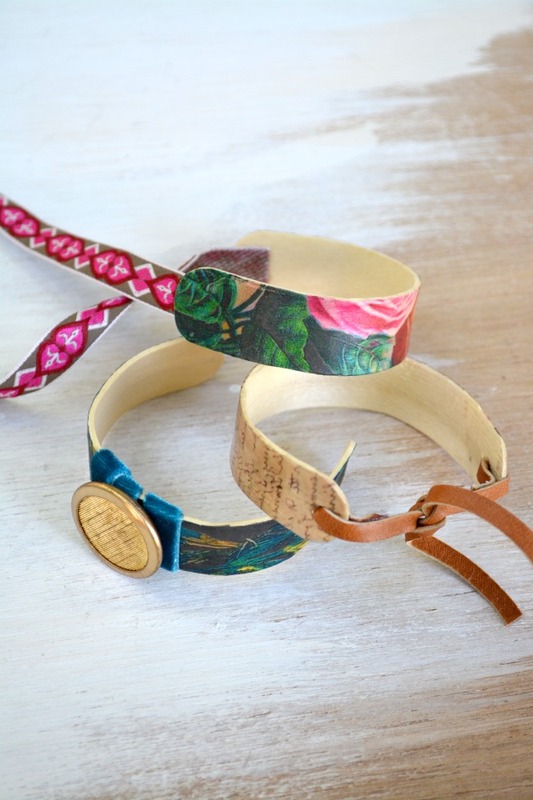 How to Make Popsicle Stick Bracelets! Hello there! It’s Candie from CandieCooper.com. I hope you’re having a great week! 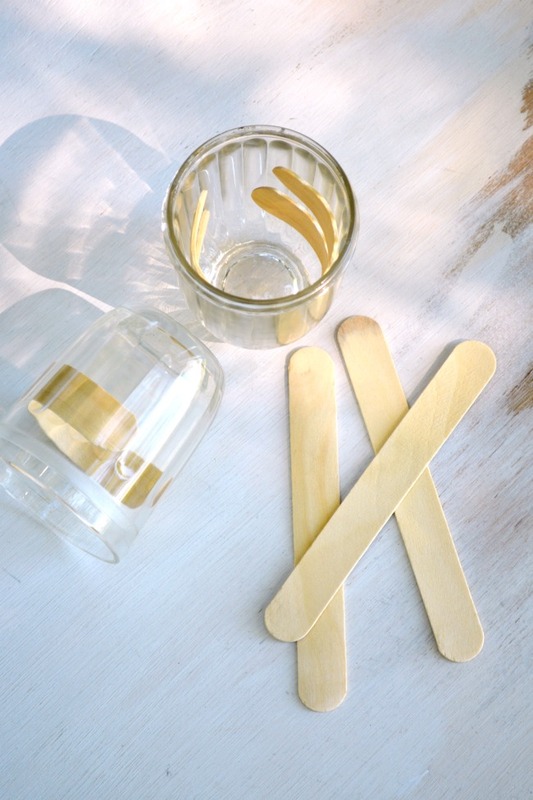 First, grab some popsicle stick/craft sticks/tongue depressors at the craft store. Bring a pot of water to boil and drop in the sticks. To be on the safe side, boil more sticks than you need in case some split, crack etc… Boil for 5 minutes, turn off the pot and let them soak in the hot water for 30 minutes. 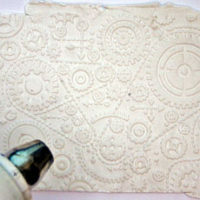 Gently roll the stick around and into a glass or jelly jar to dry. If your sticks aren’t bending easily, bring the water back up to a boil and repeat the process. Let the sticks dry for a day. I actually dried mine overnight and then, because they were in a heat safe container, put them in the oven at 200 degrees for an hour to finish drying them. Remember that magical film, Craft Attitude? 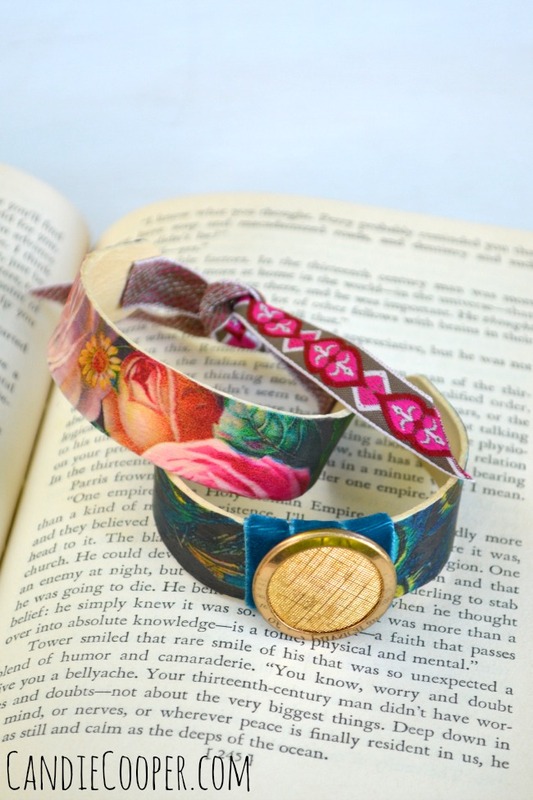 I printed my graphics onto that so the wood surface would show through on the bracelets. I used an ATC background, flower, and peacock and then cropped them down, enlarged, and so on to get just the right section for the bracelet using Word. See the categories to the right to pick some of your favorite images. 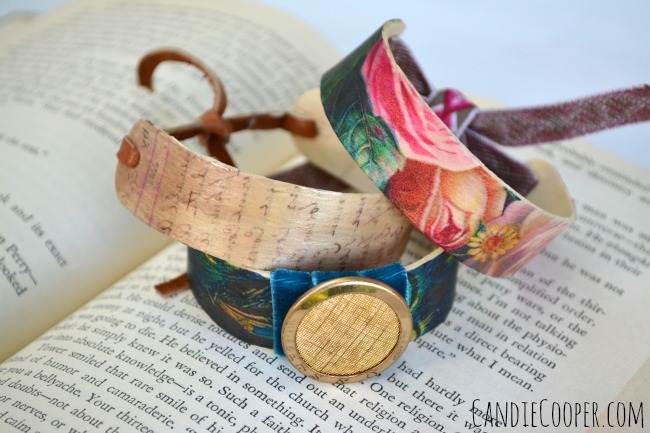 Paint a layer of Mod Podge onto the wood bracelet and put the printed side of the image down. Smooth out and leave to dry. Trim away the excess film. 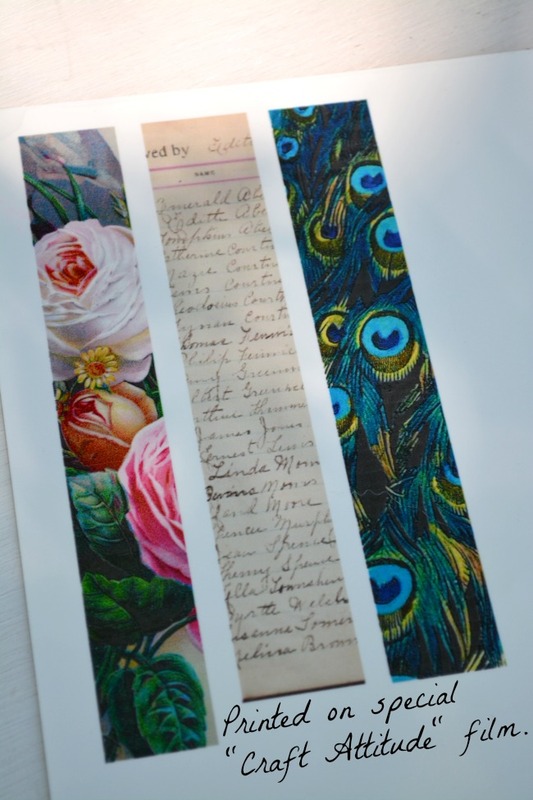 Optionally, you can seal the CA film with Mod Podge (see bracelet on far right). This is key if you want to add flat back crystals and other embellishments. 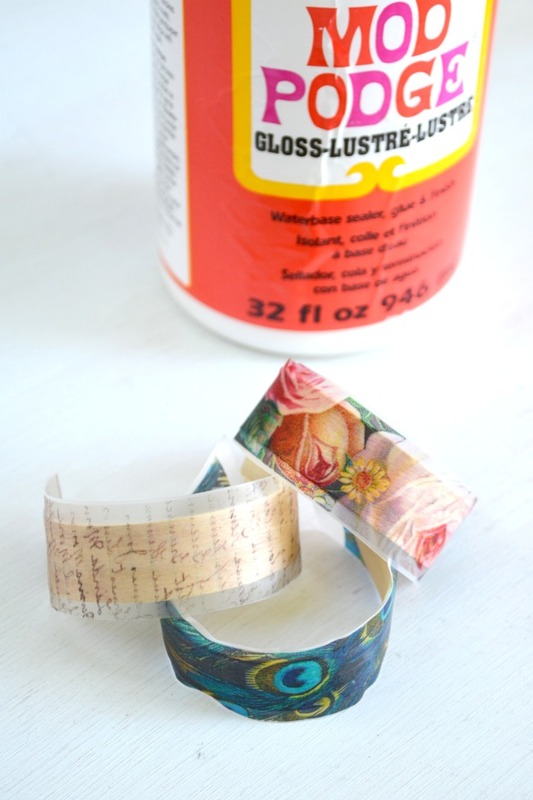 You can also seal with Matte Mod Podge if you like the flat look better. 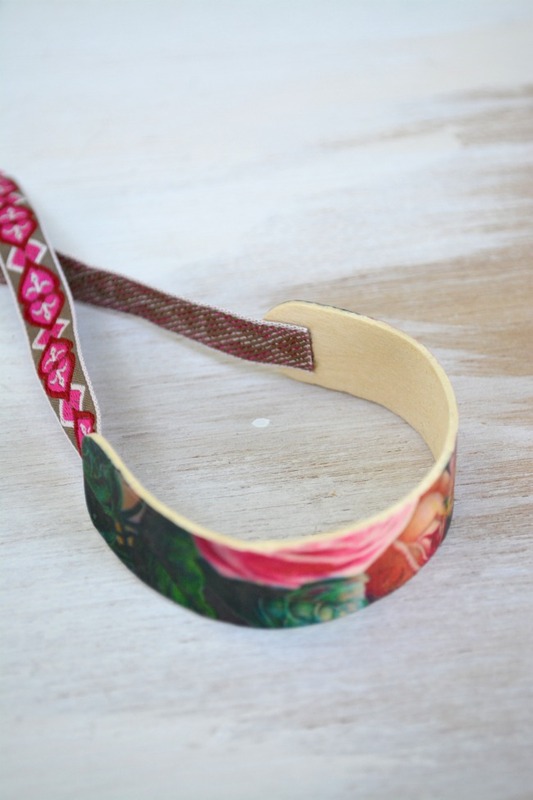 Because the openings in the bracelets can sometimes be wide, it’s good to add a closure like this ribbon. Not to mention it adds an extra touch of sass! I simply hot glued the ribbon to the inside and cut it so I could tie it in a loose knot. A bow also looks sweet. If you have a drill handy, you can drill holes in the stick before adding the image. Leather looks good with more rustic images. 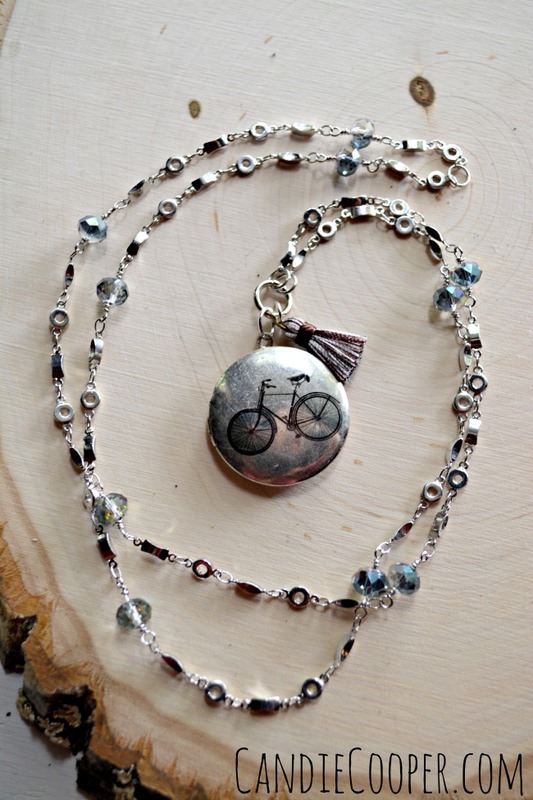 And just for fun, you can embellish the tops of the bracelets with ribbons and buttons if you like. The flower one is so my favorite! 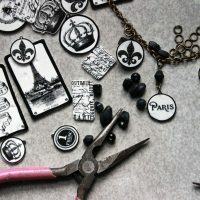 Since I feel like I’m in pretty good company on loving all things vintage, may I share with you a tutorial I recently did on my blog? 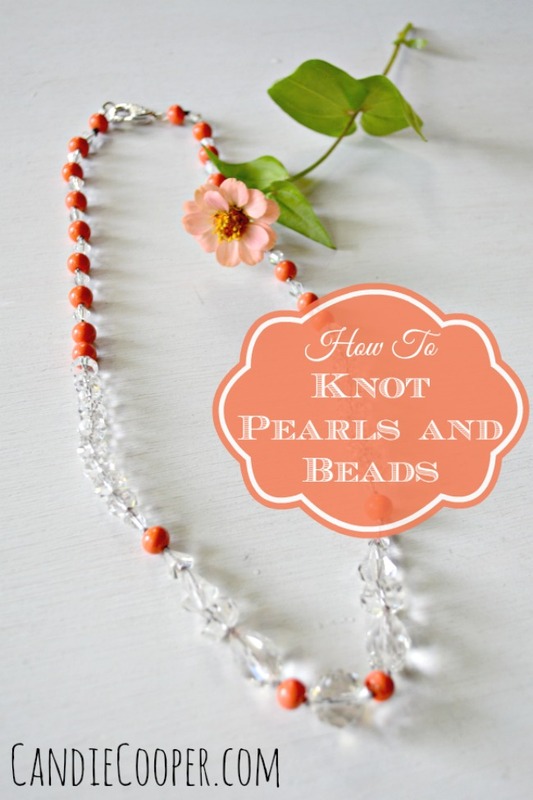 It’s all about knotting antique bead necklaces! 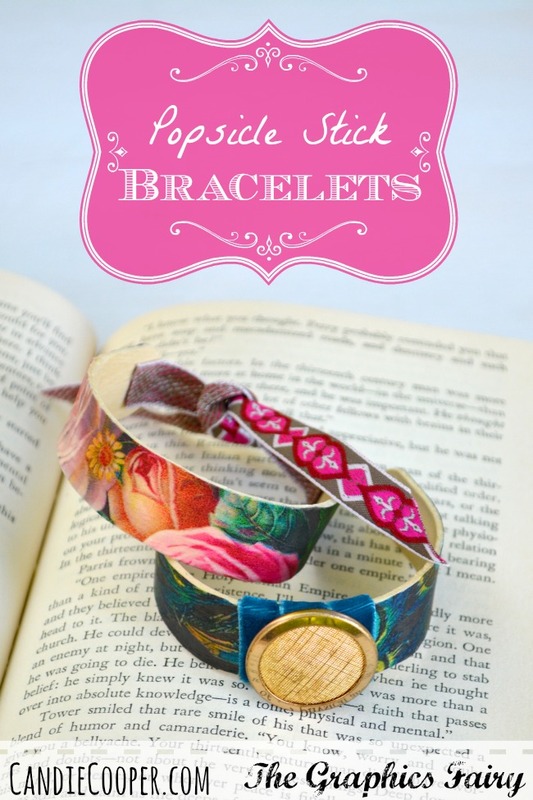 Like the one’s from your great-grandma you’ve been hanging on to. 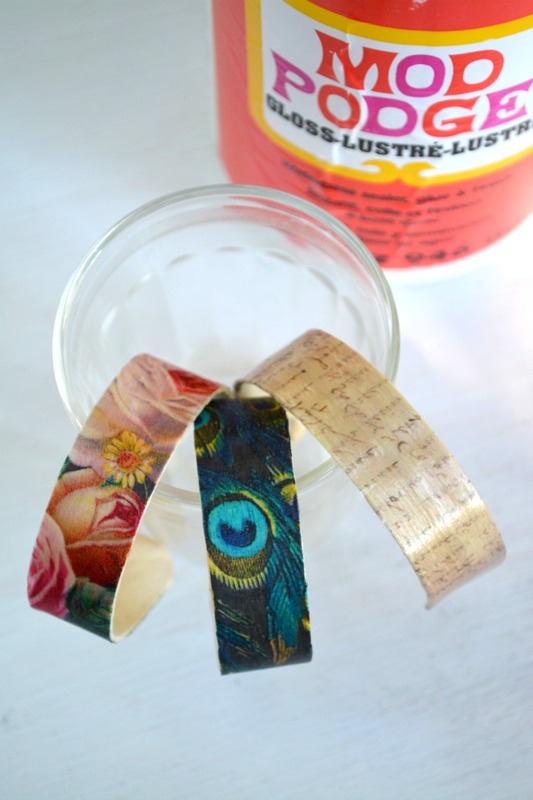 Here’s a really easy beginner project that would make a fun gift idea! 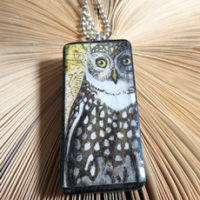 You could easily find a blank locket and decoupage your own image from the Graphics Fairy site to it. Thank you for sharing your great projects with us! I love your work, and your projects are never too intimidating to try. You are very generous! I really want to try this! My polymer clay bracelets always feel like they’re going to break and this might be a good “backbone” for it. Does the drilling not cause the popsicle stick to crack or break? Hi Jenna, I’m not sure, this one was written by Candie Cooper. You can click through to her blog and ask her. Jenna, start with a small drill bit, 1/16 or 1/8 in. Work up 1/16 in. at a time. 3/16 to 1/4 in. is probably large enough for this project.